Tuanku Abdul Halim ibni Almarhum Sultan Badlishah is not the typical Yang DiPertuan Agong. His Majesty is the first Sultan to have been elected twice to the office, and the oldest. He is also the second oldest and second longest reigning monarch after Queen Elizabeth II. When Tuanku Abdul Halim first took office on the 21st September 1970, Malaysia had just come out of an extremely bad episode that happened just a little over a year before that. Then Prime Minister, Tunku Abdul Rahman Putra Al-Haj, stepped down a day after Tuanku Abdul Halim was sworn in as the Fifth Yang DiPertuan Agong – not because of pressure as claimed by some, but due to the fact that the Prime Minister felt it was inappropriate to sembah his own nephew. His Majesty reigned over a period when the Second Emergency had just begun and race relations was at its lowest. But it was the combination of His Majesty’s wisdom and the great stewardship of Tun Abdul Razak that saw Malaysians unite against a common front – the Communist Party of Malaya. 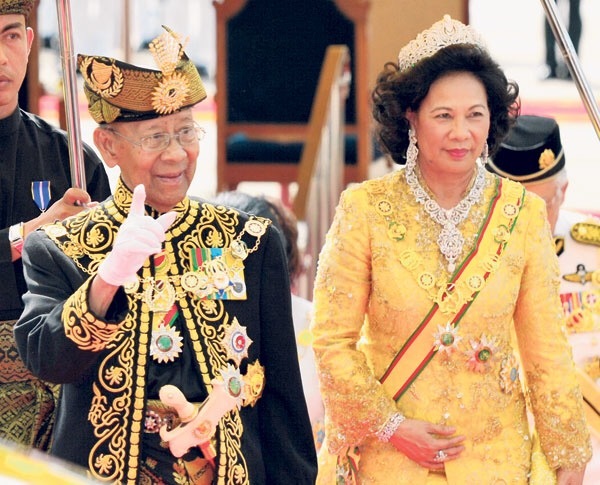 Tuanku Abdul Halim’s second reign as the Yang DiPertuan Agong came in an era where rumours reign supreme. Despite remaining neutral His Majesty was, on more than one occasion, the victim of vicious rumours for not acting as expected by certain irresponsible quarters. His Majesty’s openness has allowed for people from both sides of the political fence to air their grouse and seek advice. Although the rights of the Yang DiPertuan Agong include the right to be informed, to be consulted, to advise, to encourage and to warn, again the wisdom of His Majesty has seen the first for rights being exercised. And being steadfast in His Majesty’s stand in certain delicate matters as well as having the wisdom that befits a Yang DiPertuan Agong, His Majesty’s encouragement have allowed Prime Minister Najib Razak to have better concentration on the administration of this country. Kedah will once more enjoy Tuanku Abdul Halim’s great leadership while the rest of Malaysia will miss him. Dirgahayu dan Daulat Tuanku. Semoga Allah terus merahmati Duli Tuanku.